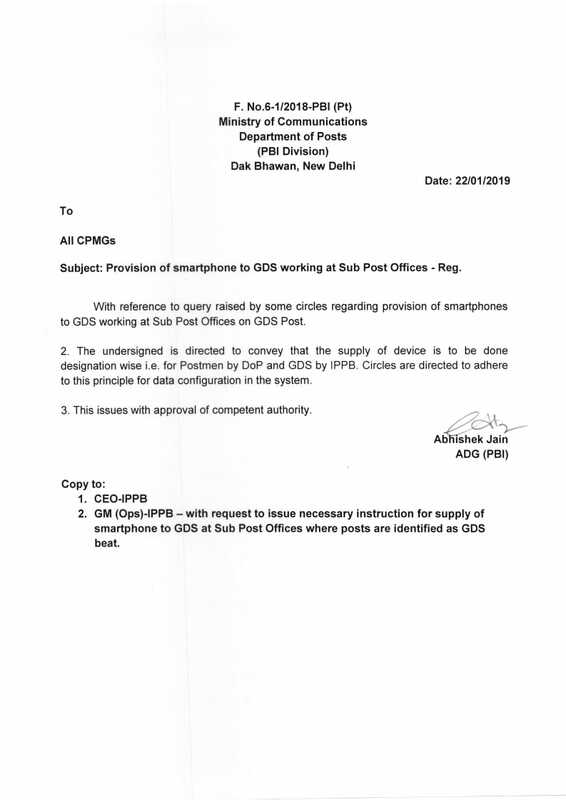 Subject: Provision of smartphone to GDS working at Sub Post Offices – Reg. With reference to query raised by some circles regarding provision of smartphones to GDS working at Sub Post Offices on GDS Post. 2. The undersigned is directed to convey that the supply of device is to be done designation wise is for Postmen by DoP and GDS by IPPB. Circles are directed to adhere to this principle for data configuration in the system. 3. This issues with approval of competent authority.